This fort built on the hill is near Junnar village in Maharashtra state of Pune.There are about 100 caves in the mountains around Junnar.At the time of Shivaji's birth, his father Shahaji constructed this fort for the protection of his wife Jijabai. 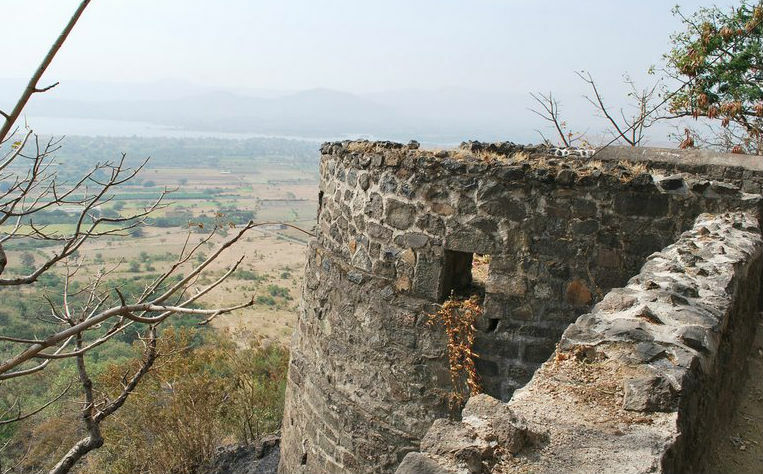 For the last 10 years after the birth, Shivaji was raised here in Shivneri Fort. Within the temple, Jijabai and Shivaji's childhood sculptures have remained. Shivaji was also named after the name of Goddess Shivai, whose temple is also built inside the fort. The fort is surrounded by big rocks all around.There is a large pond between the middle of the fort which is called 'Badami Talav'.There are two sources of water for drinking in the temple,which is called Ganga-Yamuna. 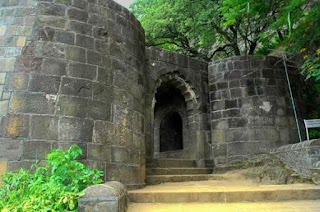 From this fort the ground can be seen comfortably by 360 degrees. The winter season is good for visiting here.During that time you can safely take a tour of the entire fort.This place is also famous for trekking,but avoid coming here in the monsoon because there is a lot of slippery on the mountains during that time.